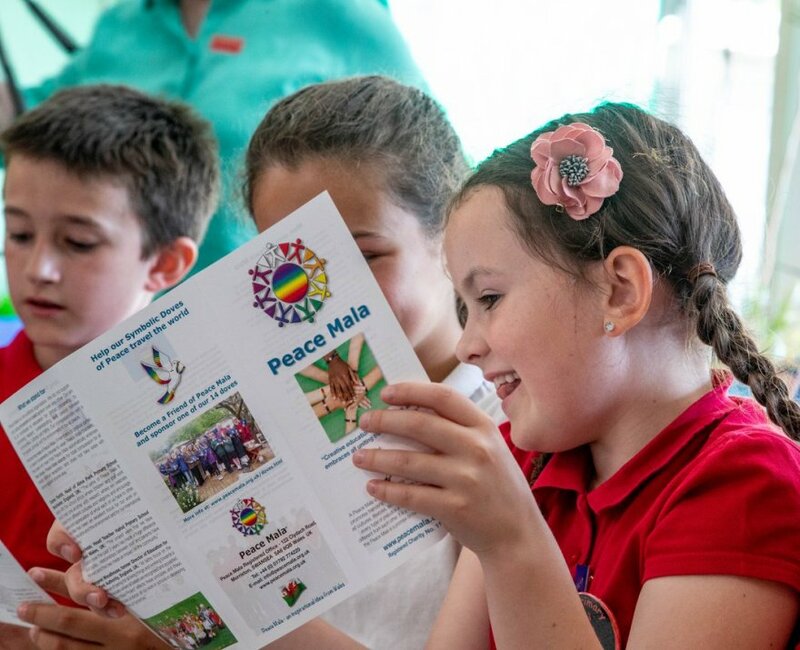 Catwg Primary School in Wales have been involved in the Peace Mala Project for many years and are soon to celebrate Gold Award Accreditation. 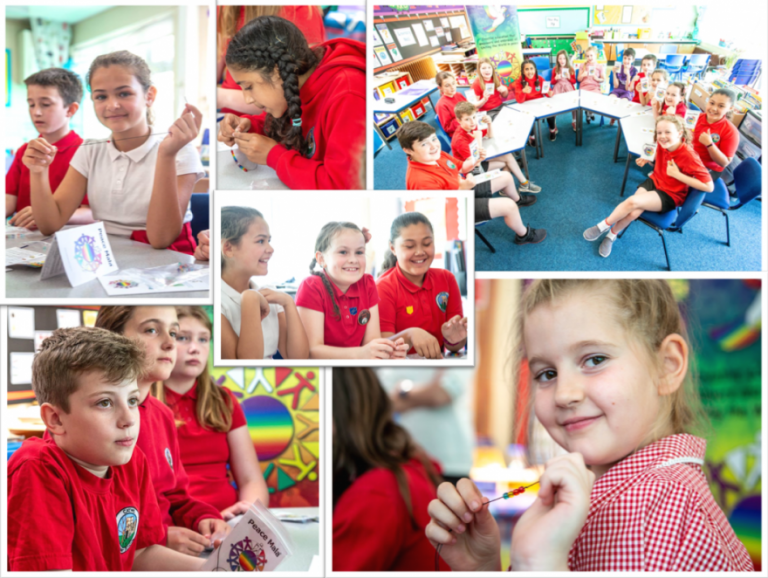 Recently Pam Evans, (Founder of Peace Mala) had the pleasure of leading a workshop with some of the pupils at the school and they were an absolute delight! Many interesting questions and comments were made by the pupils about the value of Peace Mala for young people – especially the message of the Golden Rule and how it helps to stop bullying and also brings together everyone regardless of differences. Photographs were kindly taken by Lesley Walters and there is film footage yet to be edited; when completed this will be shared with you all on YouTube.